Between Riga and Baltic sea seaside (into the west) is a historical region Kurzeme. The most interesting towns here are Tukums, Talsi, Saldus, Kuldiga, Ventspils and Liepaja. The population in every town is less than 100 thousand. Tukums – small, surrounded with gardens town, the nearest to Riga (next after Jurmala). In winter here are opened several ski routes. Talsi is located between Riga and Ventsipls that is on the seashore. In the town is a lake Vilkmuizas with which are connected several legends and a scenic arboretum, founded in 1883 year. 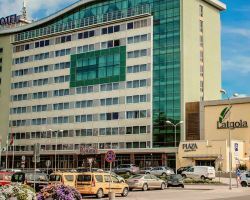 Saldus is located in half-way from Riga to another port city – Liepaja. In Latvian Saldais means “sweet” and actually Saldus is “the sweetest” town in Latvia because here are several sweets factories. You can visit them with excursions. Tukums, Talsi and Saldus by bus from Riga. Travel time: to Tukums - 1 h 10 min, to Talsi - 2 h , to Saldus - 2 h. Schedule. By train to Jurmala (to Tukums). Schedule on railway website. Travel time - 1 h 20 min. By car. Travel time: To Tukumsа - 1 h, to Talsi - 1,5 h, to Saldus - 1,5 h.
Near to Tukums: Cinevilla – town-decoration that which was built for the film “Rigas sargi” (Guardians of Riga). Now here you can try yourself as an actor, know about many technical moment of shooting and stroll around Riga of the last century in army uniform or citizen costume. In summer in the town is working a hotel. 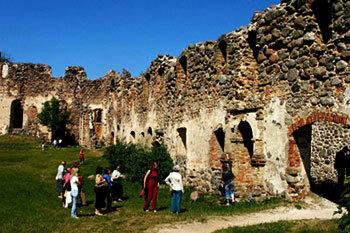 Close to Saldus: The castle was built in 14th century, but its look remained almost the same up to present days. Inside the castle is a Livonian order museum; here you can see miniatures of orders castles, copies of armors and weapons and know many interesting facts about the orders history. 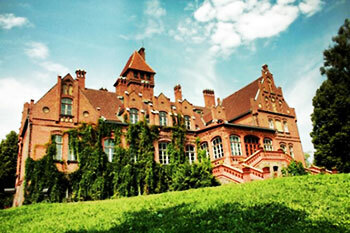 You can also take part in theatrical excursions and stay the night in a castle hotel. 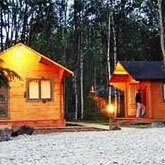 Hotels, guest houses, apartments and other accommodation options in Saldus. 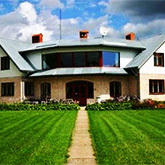 Hotels, guest houses, apartments and other accommodation options in Tukums. Hotels, guest houses, apartments and other accommodation options in Talsi. 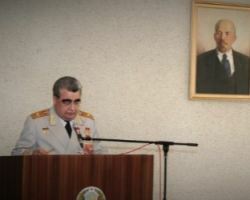 In Tukums. In the castle you can visit cultural and historical exhibitions, ceramic workshop and learn about the daily life of landlord and peasant. Around the castle is a park, where people in summer go picnicking and fishing. Near to Tukums. Former summer and hunting residence of Riga mayor – George Armisted was built in the very beginning of 2oth century. Castle functions changed several times – here was a war hospital, residential flats and cinema. Now here is an exhibition about hunt in Latvia, organized theatrical excursions and feasts, is situated a hotel. You can climb to the viewing tower to get a scenic view on the surroundings. Near to Saldus. . In 100 meters from Jaunpils castle is a territory surrounded by the wall. 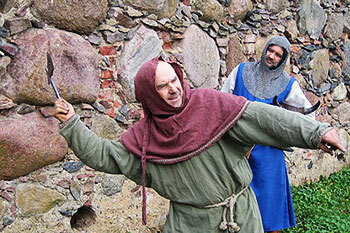 Here are held different medieval activities – archery, crossbow shooting, ax and spear throwing, medieval coins calking etc. Also you can take a photo of yourself in medieval armor, take part in joust and taste medieval dishes. 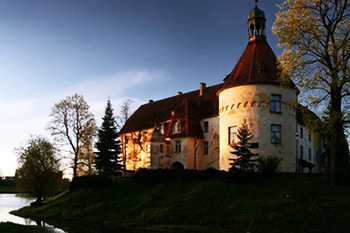 Near to Tukums: The manor was built in 15th century, originally as a point of defense. Later, in 17-18 it was rebuilt for household needs. Now here is situated museum of technology and road construction in Latvia and a hotel. 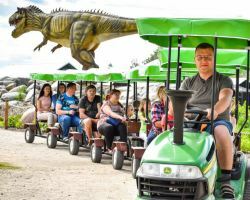 Near to Tukums: In summer here are opened summer bobsleigh and stable, while in winter four ski tracks, including slide for kids and beginners. Dobele, on a half-way to Saldus: As the majority of Latvian castles, Dobele castle was built in 14th century, by Livonian order. Later to it was added a church and a park. However, after 1729 it hasn stopped to be residential anymore and up to present days remained only its ruins. 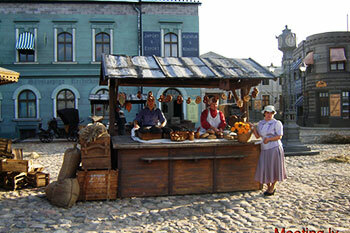 In Saldus there are many different factories of sweets productions. You can visit ice-cream factory Druvas partika, see the process of milk candies “Cow” production (Gotina), watch, how bread, cakes and cookies are baked. All production you can taste and buy right there. Request for the excursions must be applied in advance. Near to Tukums. 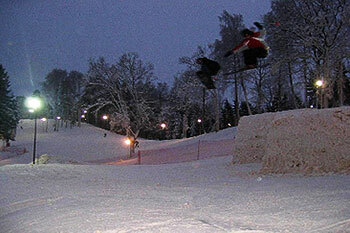 One of the most popular ski resorts in Latvia. 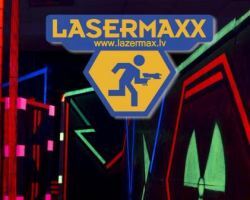 Here are more than 15 tracks, for professionals, as well as for the beginners, for skiers and snowboarders, extreme and slalom tracks, track with obstacles and sledge slide. Close to Talsi. In park are two tracks. “Hight track” for adults and kids who are taller than 150cm; it requires good physical abilities. “low track” is made for kids (7 +). 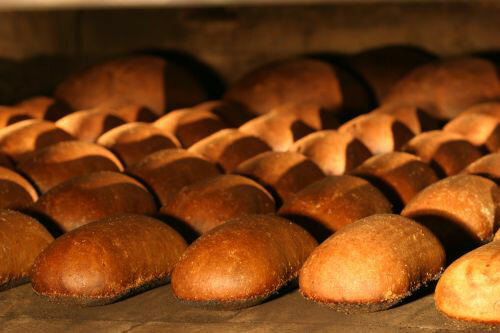 Near to Tukums: Bread “Lachi” (bears) is loved all over Latvia. 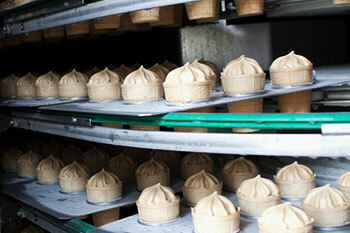 Visiting the bakery, you can see how the bread and other baking are made. Also you can try to bake fresh loaf yourself. 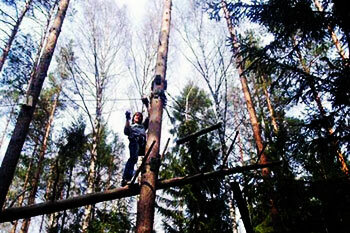 Hotel located about 60km from Riga, and only 5km from Milzkalne (ski resort). Hotel invites you to come relax in clean, comfortable surrounding and take pleasure in a friendly staff and elegant atmosphere.